To a drug addict, the prospect of quitting can seem like an impossible goal. Substance abuse usually changes the brain chemistry over time. It can make it hard for the addict to simply drop the habit since the discomfort one gets from some of the withdrawal symptoms can be too much to bear. 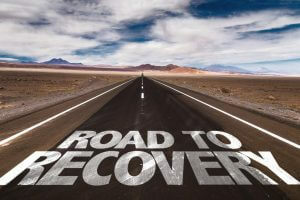 Drug addiction and alcoholism can be treated at a professional drug addiction treatment center. Before you get treatment for drug addiction, you need to note that not all treatments are suitable for everyone, so you need to be sure that it will be suitable for you. An effective treatment program also addresses underlying problems and not just the addiction issue. An inpatient program requires an addict to stay in the facility for the duration of the treatment. The advantage of an inpatient program is that the addict is cut off from environmental factors that were fueling his addiction. Additionally, he or she gets 24-hour support from staff at the facility. It is suitable for people whose addiction problem has reached a critical stage. The main disadvantage of inpatient programs is that you may not be able to check into a rehab facility. You may have dependents who need your presence at home daily. You may also have responsibilities that simply cannot wait until you complete your rehabilitation program. An outpatient rehabilitation program is suitable for people who are preoccupied with work or personal responsibility to check into an inpatient drug addiction treatment facility. You only need to show up at specific times for counseling, group sessions, and other sessions that may be part of your treatment program. Before you go for outpatient care, you need to be sure that you can handle the pressure and influence from the environment you live in. Sometimes this can be pressure from friends to continue abusing substances. It could be that stress from home continues to drive you into substance abuse. You need to consider whether an inpatient program could help you break away from these pressures at least for the duration of time that you are undergoing treatment. Most programs have an individual counseling session at times alongside group counseling. A therapist is assigned to you and helps you to dig deeper and recognize patterns that are causing your drug addiction problem. The main advantage of individual over group counseling is that an addict may put a mask because they are embarrassed about sharing various aspects of their lives. Different facilities may apply varying scientific methodologies such as Behavioral Cognitive Therapy or the 12-step program to get to the bottom of the addiction problem. Group counseling allows people to share the experiences they’ve gone through as they tried to overcome addiction. It helps addict recognize patterns as well as make them understand that they are other people who have gone through the same problem and have managed to overcome it. Faith-based therapies are meant for religious people who are trying to overcome their addiction. A program that is based on their religious value is thought to resonate better with an addict who is committed to a given faith. Such programs aim to tap into their sense of higher purpose while still using scientifically proven methodologies to treat the addiction problem. This is a proven scientific methodology used to treat drug addiction and mental health conditions. It seeks to unearth the underlying factors that lead to mental conditions or substance abuse problems. Holistic therapies are meant to complement conventional forms of therapy. They are based on the principle that the mind, body, and spirit need to be part of the overall solution when treating an alcohol or substance abuse problem. The therapies may include meditation, Yoga, Tai Chi, art therapy, and a nutrition program.